As we all know that there are people who tell us that to get back with the past love is not at all a good idea. However, sometimes it becomes really difficult to let your ex-love go, no matter what and how much you try to forget them. There are times when you realize that you still have feelings for your ex and want to get them back into your life. However, asking them to come back to your life can be scary and will need a lot of considerations. But if you can learn from your past mistakes, then there is a some chance of them saying a “Yes” to you. But before you proceed with anything else, you need to be clear to yourself whether you surely want your ex back in life or not. For that, you need to ask certain questions to yourself and find out the answers first. Do you still miss your ex? Are you missing those long hours of talk with your ex? Do you really want to get your ex back into your life? Are you missing the warmth of your ex’s embrace? Well! If all your answers are “YES”, and if you have made up your mind to get your past love back into your life, then here is the guide on how to get your ex back. Yes! You heard it right. All you need is dedication and love along with these steps to get your ex back. So without further delay let’s start right with the guide. When you want to get your ex back, the first thing that you should remember is not to be in a hurry. Consider working on the bad habits or those issues or mistakes that caused you the breakup in the first place itself. Learning from your past mistake is very much important in case if you are looking to get back with your ex. Once you think you have understood your mistakes that you have committed in the past and now you have changed those habits, ask your ex out for some hangouts to show them how you have changed yourself gradually for the ex. Within a day it is not possible to know how much you have changed, so give it some time to grow the relationship again. Laugh, smile and show your positive signs when you are with your ex. Once you are done with the hangout, try to follow the “No Contact Rule”. Text your ex that you are okay with their decision and you are moving on. Now don’t text for a week or so until they do. Don’t pick their calls in the first place. Let them miss you and this will surely help you in to get your ex back. Read further to know what else you should do if they are in a new relationship, how to convince your ex etc. Now here starts the main article that will help you in getting your ex back into your life. Follow this step-by-step guide with heart and remember all you need is to show love. The first thing you need to do is to evaluate the reasons behind your breakup. Here you will see few ways on how to evaluate the reasons behind your breakup. Ask yourself what has let you break with your ex. What are the reasons behind your breakup? Relationship breakups arise when you both don’t want to continue being in the relationship. There are difficulties in every relationship which you and your partner need to overcome to make a successful relationship. However, there are still few common reasons that we are going to list down below. See what made you and your ex-breakup with each other. Lack of trust: One of the most important reason behind breakups these days is the trust issue. Lack of trust can bring an end to the relationship. When you commit to a relationship, you put all your trust on the person. But sometimes out of stupidity, that trust is broken and once it is broken eventually the relationship connection starts getting weak. Along with the trust, the love also dies. Abusive nature: Another reason that can make you break up with your partner is because of an abuse in a relationship. Physical abuse is something that is not tolerated by anyone and can lead to break up. Loss of Love: Like the way love can bring you close, it can drive you apart from each other as well. This is a friendly way to end the relationship as in this case, there is no hatred and no mistakes. It happens with the time being. Sometimes loss of love takes place due to distance and many other factors. Unresolved issues and arguments: Now we all know that with every problem there is a solution. However, you also need to know that some arguments and issues don’t really have any solutions or neither it can be reached to that point. Hence, it can bring an end to your relationship. Dominating Nature: Another factor is the dominating nature of either you or your partner. Constant nagging is what have the potential to end your relationship. Not everyone likes to get dominated, in fact no one likes that. Financial Crisis: A major factor that is there and may lead to the end of a relationship is a Financial crisis. Money isn’t the usual reason to part away but still, some couples end their relationship due to this money factor. Communication Gap: Communication is an important part of any relationship. Lack of communication may lead to breakups. Was it you had initiated the breakup or is it your ex? If you are the one, then think about the reason why you did it. Did you do it out of anger and you are regretting it now? Ask the same question if your ex was the one to initiate it. Or it can be a mutual decision as well. It is very much important to know the reason behind your breakup. If you know the reason, then it will be easier for you to take the next step to get your ex back. Emotions, the reason behind every bond. If you recently had the breakup with your partner, then sometimes out of emotions you may want to get back your ex. Usually it is not out of love but emotions. After breakup you can may miss those time spent together, all those sweet night talks, hangouts etc. and that can lead you to miss your ex even more. But that may not be out of love, it can be due to emotional attachment as well. In this case, while you are alone, you should ask certain questions to yourself and try to answer those. Do you really miss your ex? Do you think bringing back them can make you happy? Will you feel better with them? Are you ready to stay with once again? Not be in a hurry and try to listen to your heart. It is always important to give yourself sometime before and after a breakup. Move forward only if you are 100% sure about what you are doing. Another factor that will lead you to get your ex back is to give yourself some time. As discussed earlier, there is hard rule to follow while you are going through a break up phase. It is the No-Contact rule. Yes! This rule is quite hard as you can’t talk to your ex while following this rule. However, they can call you if they want to talk to you and if not, then whatever you do will not make any huge difference. So the best thing you can do is to avoid contact with you ex for like a month or so right after you had a break up. Remember, that ignoring can sometime make your ex miss you and eventually feel for you again which is exactly what you want. Avoiding is not only an aggressive way to make your ex-partner feel for you. It is also another way to give yourself some time to prepare for another new and exciting relationship. Give your ex sometimes as well to think about you or to feel for you. Don’t be desperate while taking any step. Try to play some mind games, make them miss you, push them further away so that they try to get in contact with you more. This is the phase where you can focus on yourself more. So try to spend more time with your family or do some hangouts with your friends more often. Throw yourself into work and all activities whatever you like. Don’t just doom yourself in the darkness and don’t just wait for your ex-partner to contact you. Now the most important part that you need to consider at the first place is to know whether your ex is any more interested in you or not. If they are not interested, the no matter how hard you try, you will not be able to get them back. However, you no need to be desperate means you no need to send friends over their place to know about their feelings regarding you. You can simply follow them on their social media profiles, try to run soft. Comment on some of their posts and see their reactions and you will surely get some hints regarding their feelings. Step 3: How to Win your Ex Back? Now that you are done confirming whether they are still interested in you or not, it is time for you to break the no contact rule and start winning them back. Working on your self-esteem is an important part if you want to get your ex-partner back. Do you feel needy or lacking in self-confidence? If yes! then you should first deal with all these problems before you approach your ex. Remember a person can make you feel better for a certain time but it is you who should work on yourself to make yourself happier. Do you know what is self-esteem? It is nothing but believing in yourself and to know your worth. Concentrate more on your weakness and try to make them your strength that will help you more in building your self-esteem. Ignoring the negative points and concentrating only on the positivity will only enhance all your negative points which you absolutely don’t want. Right? Make yourself useful and don’t just rely on others. Appearance is a big part when you want to make yourself standout. Buy some trendy clothes and get a good hairstyle for yourself. Hit the gym and get a good body and also do your nails. Take care of your hygiene as well. Make yourself fresh and it will surely attract people. Wear some trendy outfits that are super in nowadays. Wear sunglass or specs that gives a great dimension to your face. Try to look updated in another word. Remember that a good relationship starts with friendship. So try to be friends with your ex and don’t just jump right into the serious conversation. Make the atmosphere little lighter and comfortable and it will surely help you in getting closer to your ex. A casual hangout with your ex-love can be really exciting. Include them along with your friends and go for a casual drink party or a movie. Try to do something that can make it look more friendly and not just love concentrated. However, whatever you do, do it in a fun and simple way and don’t be overdramatic. If they say that they aren’t having any more feelings for you and they want to stay as friends, then give it some time and try to make them fall for you all over again. Try o create that bond you had with your ex previously. Look into their eyes and ask some deeper questions and try to get the answers to that. It will re-create the bond between you two if there is something really left. Think about those days when you two had fallen for each other. There must be some reason for which you liked your partner those days. What did you use to do? Something that your partner likes about you, some special quality that went missing in your gradually. Try to think about that and bring back those qualities. Whatever it is, just re-create those days and it will start burning the flame within their hearts. Always stay positive and you never know what may come in. Let them feel that you have changed and let them decide how much they are into you. Positive vibes always attract everyone and hence try to re-kindle old good memories as much as you can. This will help you in making your ex-lover miss you more and that’s what you exactly want. Isn’t it? Try to spend some time with other people as well and it doesn’t mean you need to go and sleep around with them. Spending time with other women or men will let your ex-partner know that you are open for a new relationship. So if they are still interested in you, they will know that they should take the first step now or they will surely try to stop you from doing anything like that. A bit of jealousy is a good way to test whether they still have any feelings left for you or not. Once you have gathered the self-esteem and have prepared yourself well, it is now time to invite your ex for a healthy relationship discussion. Well! The most important part out of all these are to ask your ex-lover to take out some time for you to talk about the relationship. Be serious and but not desperate. Take time and be friends first. Be honest with yourself as well as ask them to be honest about their feelings as well. Texting and chatting over the phone isn’t enough when you are about to take your relationship forward. Try to hangouts more often with them as it will let you two expose more to each other which indeed will help in re-creating your bond with them. Invite your ex-lover for a dinner date or ask them out for a coffee in a beautiful evening. This will surely help you to impress your ex-partner. Behave sophisticatedly and also at the same moment try to be a little romantic. Let them know about your feelings. Remember the more you two talk to each other, the more the bonding will become strong. Words are something that always touches the heart and it is hence very important for you to choose your words wisely. if you fail to choose your words wisely, then you will lose the chance to get your ex-partner back into your life. And if you choose your words carefully and directly from the heart, then you will surely be able to get them back. Remember, your way of approaching will be evaluated, so keep it safe while having a conversation. Don’t be in a hurry and go with the flow without wasting your time. Say them that you are guilty of what you have done in the past and you repent that. Make them believe that you have the potentiality to change everything. If nothing works, let it be and try thing another way. Yes! You heard it right. Past can be sometimes beneficial if you can use it wisely. Yes! Think about what your ex used to like about you in the past. For example, a certain outfit or a certain color or perfume. Try to wear those which they used to like about you. Fix a meeting at a place where you two met first. It will bring back all those lovely and sweet memories. Try to wear something that is gifted by them be it a jewelry or a watch or something else. It will clearly give a positive message that you are still having some feelings for your ex. To cure any problem smoothly, the only solution is to apologize. Well! Think about something that you have done wrong or something that have contributed to the downfall of your relationship with your partner. Once you are aware of that, apologize to your ex by taking the full responsibility for the offense you have made once. If the mistake is caused by your partner, then let them realize the same and apologize for it. There are certain points that you should remember while you are going to apologize for your mistake. Don’t use the word ‘But’ while saying sorry. Using but will make it look as if you are not sorry. If you truly want to apologize and if you are honestly regretting, then your apology should have that feeling that will let your partner’s heart melt. Make sure to speak your heart out while you apologize. Say that you are truly sorry and you will surely change your behavior and won’t repeat what you had done in the past. Remember to talk softly and don’t be desperate at all. Let them understand that you are really regretting about what you have done. Step 5: How to Build a Healthy Relationship with Your Ex? Well! As we all know it took a long time to build a relationship in the past but as you are going to start it all over again, you need to be very careful. Remember, there is a lot more to make a healthy and romantic relationship with your ex. If you had failed in the past, that doesn’t mean you will fail again. All you need is to follow certain things which we are about to discuss here. When you get into a relationship even if it is with your ex, you need to keep aside the nature of being right. Think about what makes you argue with your partner? What are the things that have bothered you both previously? Was it about the wet towel or the toilet seat up or down? Little things can create a big fuss. Try to avoid those arguments and everything will be okay. If you always try to prove yourself right, then it will only harm your relationship which you don’t want. Try to ease out things and if nothing works then avoid going into any kind of arguments. One of the most common things to follow in a relationship is the trick of being a good listener. Yes! If you want to build a healthy relationship with your ex, then you need to listen first and then talk. Being a good listener is likely being the best friend that an individual looks for. 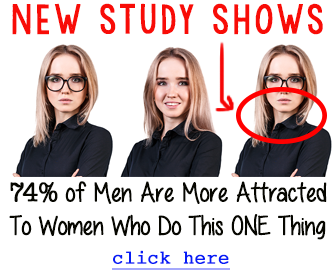 Following this trick will help you in getting into a good relationship with your partner. Do you know what makes a healthy relationship? Well! It is none other than communication. Yes! Having good communication will help you by omitting any distance you two have. It will also let you understand your partner more closely and same for your partner. They will also get a chance to know you better. So communicate more often. Take out some time for your partner and talk about little, little things. Ego is something that has the potential to ruin any relationship. So keeping aside your ego can really be helpful for your relationship. Stop fighting over small issues. Why is it really hard to stop ego fighting? Well! If you love someone, ego shouldn’t be there. Make sure to follow the communication thing in your relationship. This can solve your problem. When you get into any relationship, it is not anymore about you only. Remember, now you are with someone whom you should love as much you love yourself. It is no longer you, rather it becomes We. You will have to take a lot of responsibilities as you are in a relationship and there you have some commitments to give and keep as well. Love is unconditional and hence you need to make it worthy enough to love your partner unconditionally. Share even your smallest happiness with the partner that will make them stick to you. Yes! Sharing doesn't mean only sharing the happiness. You need to share your sorrows and pains as well to let your partner know that you are open to them and you aren't afraid to tell them the real truth. Make sure you let your partner understand what you are going through. Sharing is the best part. You know what makes your relationship last long? well! It is your friendship. Yes! Being friends with your partner can really make your relationship last long. If you are friends with your partner, then you should not miss the fun part. Go out for some exciting adventure with your ex-lover. Plan for some exciting weekend fun, make a surprise dinner plan or go out together for a movie date. This will see your relationship healthy and fun-filled. Life can be so exciting with your partner and hence you no need to make it boring. Every individual has some secrets in their life. Well! Keep in mind that a secret that can ruin your relationship in future should be told beforehand only. However, to keep things good, a little lie is okay. You can lie about your opinion or some facts to make your partner happy. But if you lie about something serious, then it might break the trust of your partner which will eventually break the relationship. Have you ever tried to express your love for your partner? If not, then you need to do it right now. Yes! Expressing your love is very much important if you want to hold on to your ex. Showing your love will mend even a big issue but if you are not someone who can express their feelings, then it might hamper your relationship. Tell your partner that you love them, you no need to do something extraordinary, you just need to do little things to make your partner feel happy about being with you. No need to worry if you can’t express your feelings all the time, but at least you can try to express your love for your partner sometime. Try to do little things that can bring that smile on your partner’s face. Giving commitment is nothing but the most important thing that should be considered at the first place. If you want to keep the relationship positive, then giving commitment should be your first thing. You need to put your 100% efforts to build the relationship all over again. It will need time and passion but if you commit to your relationship, then nothing will be impossible. A breakup can cause real pain and if you have gone through one already, then you don’t want to take the risk for another one. Hence, give your full commitment to your partner and you will see a new side of your relationship. So these are basic 9 steps to follow not only to have a healthy relationship with your ex but even if you are going into a new relationship, these 9 steps will surely help you in having a beautiful and healthy relationship. Although to keep all in mind can be a little difficult, however, if you try hard then nothing can be impossible. Step 6: How to Get Over a Breakup? Now comes the most difficult part of all. Well! It is difficult but not impossible. If your ex is not ready to move into a relationship with you once again, then you can’t just force them. In that case, the option left for you is to move on. Moving on from a relationship can be hard but it is not impossible and hence you should do that for your better. Follow these below steps to know how to get over a breakup. To know your pain is for real will help you to overcome it as soon as possible. Remember, it is not abnormal to get emotional, angry or frightened during this phase. However, make sure to remind yourself that this is just a breakup and life doesn’t end here. Taking a break from your normal routine can help you a lot in moving on from your ex. You can join a gym or you can go for a vacation if you have time. Meet your friends more often and make yourself busy in work. If nothing works, then you may take the help of a therapist to get over your pain to a great extent. Talking your heart out to someone in this situation will help you to get some tremendous relief. Find out some healthy ways to keep yourself busy. Try to experiment with yourself. Pick up a new and exciting hobby to pass your time. You can also join some club and get engaged with more people. Socializing yourself is great. Try to avoid taking any wrong route. Harming yourself won’t do any better to you rather it will spoil your life. Unhealthy methods are always the worst options to go for. So it is better to utilize your time for the betterment of yours and not for ruining your life. Well! Giving yourself sometimes lone time may help you to focus on yourself than focusing on your breakup. Try to treat yourself more often. Remember this isn’t the end of your life and you have so much to do. Go out and do some work be it a shopping for yourself or some movie date alone. Give yourself time. Keep in mind that you don’t fall into any new relationship so early as this doesn’t mean love, this may happen due to the reason you want to get over your ex. Give yourself some time, you can surely enjoy dating with new people but falling in a relationship once again within such short period of time may be harmful to you again. Another thing that you should do is to take care of yourself. Go hit the gym or join swimming class to stay refresh. You can join any sports as well that you like. This will help you in overcoming your ex. Spend time with your family can be really helpful in this situation talking from some personal experience. Meditation is another way to heal yourself from the pain. Do meditation for 15 minutes a day and it will help you to relax your mind and body. Stop feeling that you need other people in your life to support you. Believe in yourself and enjoy your freedom. Walking through your feelings is a great way to heal your pain while dealing with a breakup. Understanding yourself is the best thing one can do. Try to understand what mistakes you have done in the past that caused you the breakup. You may not be able to change those mistakes now but it will help you in understanding the main reason behind the breakup and why it was okay to move on from that past relationship. Ask yourself some questions and try to answer them. Writing about your own feelings can help you deal with your breakup. Being honest with yourself is very much important. Don’t try to pretend something and edit your feelings. Portray it as it is and pen your feelings down and it will lessen your pain effectively. Dealing with your anger is another major way to get over your breakup. Focus on yourself and try to stay distant from the social media platforms. Take a deep breath and try to relax your mind to lessen your anger. Standing by your decision is another major step towards healing your breakup pain. If it was your decision to break up with your ex, then keep in mind that you had done it obviously for some betterment. Concentrate more on that rather disheartening about the breakup. Accepting the situation is the biggest key to moving forward. So these are the steps by which you can get your ex-lover back. However, it depends totally on you whether you can show your to your ex, whether they feel about you or not. Remember, following these steps will help you in getting back your ex but without your dedication and commitment, nothing will work. Don’t lose hope, as it may take time. Try to show them that you are fine without them as well. Let your relationship breathe and keep in mind that if they aren’t interested they might not get back to you but life doesn’t end there. Try to move on! What happens, happens for good only! So there is surely someone for you waiting. Keep faith in yourself and God and you will surely get the love of your life.